What people seem to forget is that while you are tapering, racing and recovering you don’t actually get any training in. Robbie Britton asks Are you racing too much? And similarly, take some dang time off after a big ultra. Recover! The ten best beer runs in America. From the pics I saw, the Leadville Beer Mile yesterday looked pretty awesome. Who ended up winning? Speaking of Leadville, here’s my preview of tomorrow’s big race. An excerpt from Hal’s Field Guide to Ultrarunning. Burning River 100 mile race report. Didya ever wonder where your favorite fruit ranked (in a totally pointless ranking?) While you’re at it, one of my favorite–and one of our most popular--interviews of all time. Trying to impart rules like this on MUT running wouldn’t go very well. The guy who came in 2nd (now first with the yellow card), stepped off the finish line to do this immediately after the race. Awesome! h/t Francois. The feedback I’ve heard on this mask is not very positive. I’d like to hear from someone who’s tried it. Anyone? I’ll need it for the NorthFace Endurance Challenge in Park City. I’m awful at altitude and not in distance shape, so why not sign up for a 50 that runs between 7-10k feet, right? 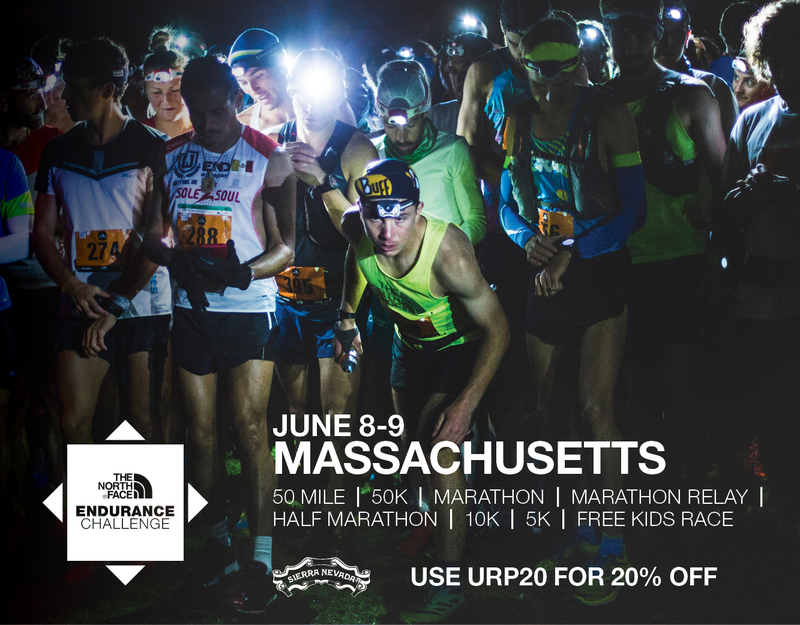 If you’re interested in running, use this code for a 20% discount: URP20. A couple of Mikes and a Rory are all slated to run. Join us? Adam Campbell’s five favorite trail runs. Zach Bitter’s 100 mile report from the Dome. He literally pooped his way through the final 20 miles and still finished in 12:08. Wow. Here’s his pre-race interview with me. If you’re interested in helping fund a movie about women who run serious mountain ultras, check out the kickstarted page here. Not much time left, and they’re awfully close to their goal. And finally…she’s 99 years old, weighs 83 pounds, started racing in her late 60s, and just set the 100 meter record. —Fat Dog 120 in Canada. “Canada’s Hardrock” sounds tough! —Eastern States 100 in Penn. You running? Still catching up on emails. If I haven’t got back to you, I’m not ignoring you, I promise. 7 Responses to "Daily News, Fri, Aug 15"
i’m doing the TARC 50 Miler in MASS! There’s a great beer run on Long Island, Sayville 10 Mile Run to the Blue Point Brewery. Unlimited Blue Point Beer and pancakes at the finish! Pikes Peak Ascent and Marathon are this weekend–something like 75 internationals in the ascent. Glad to see the mention of The Eastern Sates 100. I am pacing a portion of the race. We don’t have high elevation here in Pennsylvania but everything is rocky, rooty and technical which can make for some tough running. Burning River 100 race report link doesn’t work for me.